The latest, ultra-high fashion women’s flats are available at Gap. 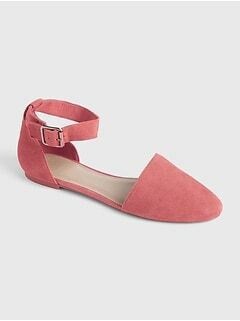 Versatile Gap women's flats are included in our popular designer line and offer a distinctive, dramatic look you can wear with everything. The trendsetting style assortment we offer includes comfortable, casual, slip-on sneakers with innovative designs that include stars, paisley and more trending looks. 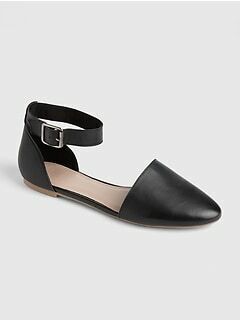 Find dress shoes that go from brown leather ballet flats to pretty black Mary Janes with some of them featuring color blocking. In addition, find unique styles with straps that go over the ankle for an innovative high-fashion design. 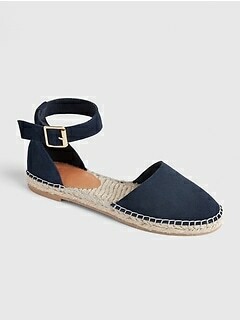 Women love our lace-up Espadrilles that are available in denim, plaids and stripes. The colors in this line range from black to popular bright colors. 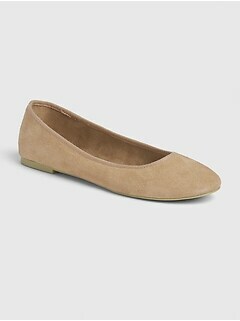 You’ll love the luxury of 100% leather flats for women from this assortment that have been treated for soft, pliable comfort. Our collection has designer features including breathable synthetic lining, an exclusive padding system with memory foam that is designed for all day comfort and flexible soles. Your search for a stylish shoe with a comfortable fit is over. Our materials and construction give you the polished look you want in a fabulous pair of flats. 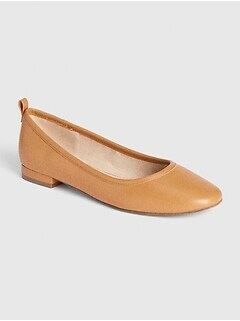 The women's ballet flats we offer in our newest selection are beautiful, stylish and trendy. You’ve waited for the latest shoes and finally they are here. 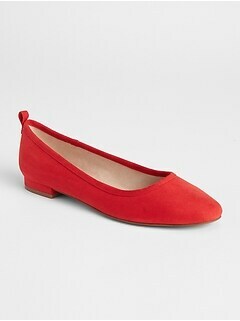 Wear our flats with ankle straps with a dress or skirt to show off their color blocking and accent color features. 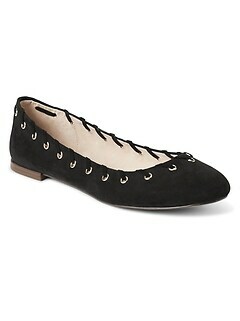 Gorgeous flats with lace up tops and unique fabrics are striking and unique. 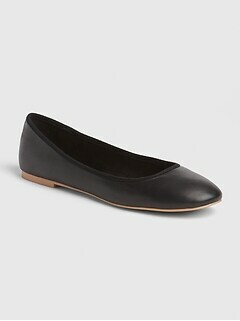 We offer a slip-on option that looks amazing with a pair of skinny jeans and a dressy top for an evening out on the town. Choose classic black or beige to wear with a suit with pants or a skirt at the office or for any professional occasion. 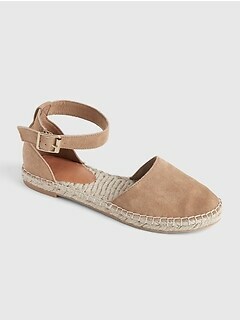 Wear our espadrille sandals with double and triple straps and love the way they flatter the shape of your legs. Our low heel flats are perfect for sightseeing, shopping and any other situation that requires standing or walking for long periods of time. 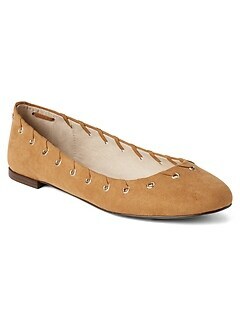 These flats and slip-on styles look cute with shorts and summer dresses. 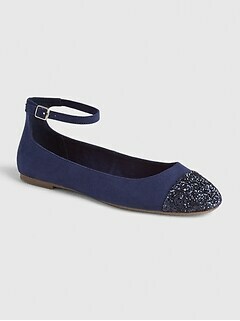 Find everything you need and want in women’s flats from Gap in the latest styles and colors of the season.